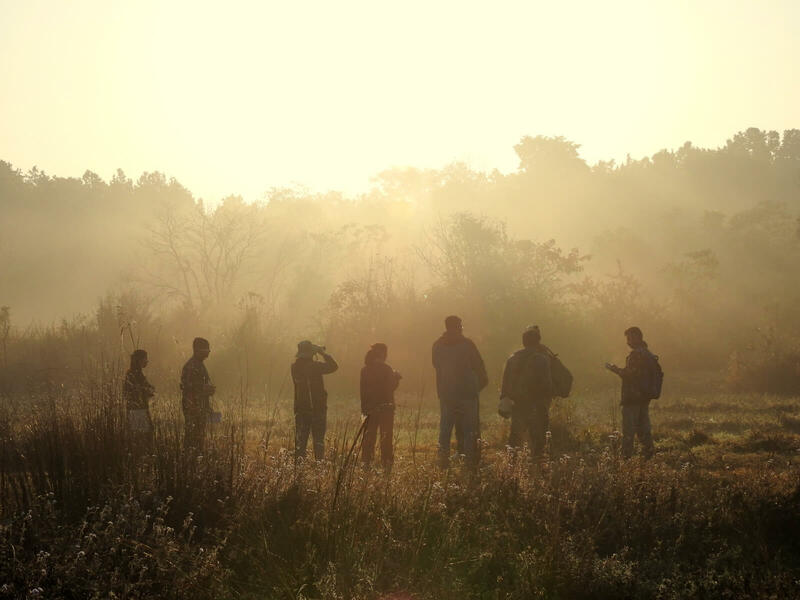 You can download the following material about the GBBC. Please help by spreading the word amongst your friends and contacts too! You can download a GBBC press release in PDF format, or an editable .docx version that you can alter to give details of local events and contacts if you so wish. Please circulate to your friends and contacts in the media. We also have some excellent high-resolution images of birds and birdwatchers, available to be used in all GBBC 2018 publicity. Please do credit the photographer when using a photo. 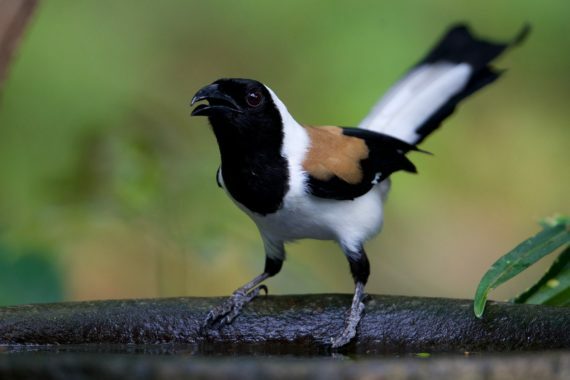 We have put together a powerpoint presentation on “An Introduction to Birds and Birdwatching”, which includes section on birds in general, a guide to common Indian birds, and a section on Beyond Birding, with some slides about the GBBC. You are welcome to download this presentation, modify it for your audience and context and use it. There is an accompanying word document with notes for each slide, to help with the presentation. If you do plan to use the presentation, please do let us know; and afterwards, tell us how it it went! On some computers (eg running Linux/LibreOffice) the ppt presentation may not appear correctly. Please download the pdf instead. 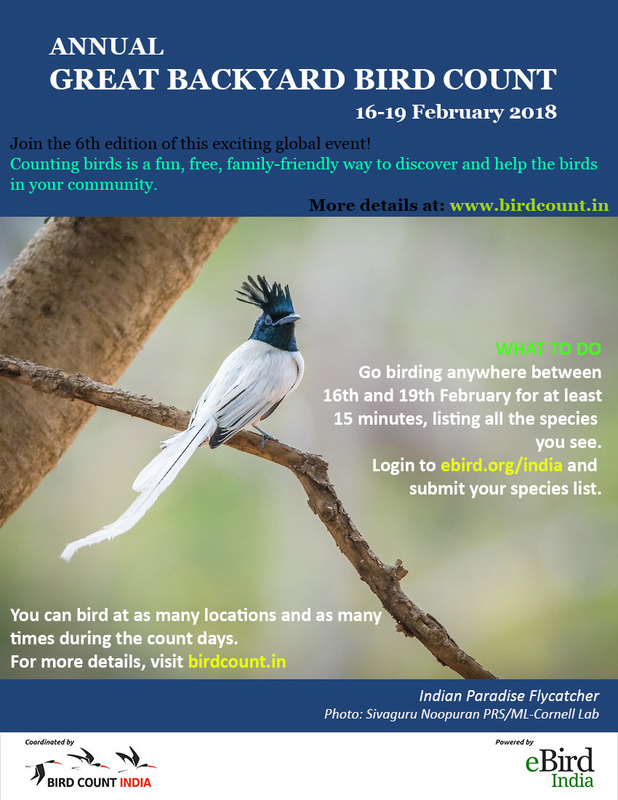 Note: This presentation has been created for the Bird Count India partnership. It is meant for download and use in educational and outreach efforts. You are free to modify it to suit specific purposes and audiences. This presentation is being distributed on the understanding that none of the material it contains will be used for commercial purposes, and that in all cases photograph credits must be retained in any modified version. Most of the photographs in this presentation have been used with the specific permission of the photographer. Others have been downloaded from the internet; for these we apologize for not having obtained advance permission. If your photo appears in this presentation, and you wish to have it removed, please write to skimmer@birdcount.in and we will replace it. We also have this visual guide to getting started with eBird. Click on the image to see/download the full guide. You can view and download the booklet An Introductory Guide to GBBC and eBird in Tamil at this link (PDF, 18MB). If you would like to contribute a similar guide/booklet in another language, please do get in touch. 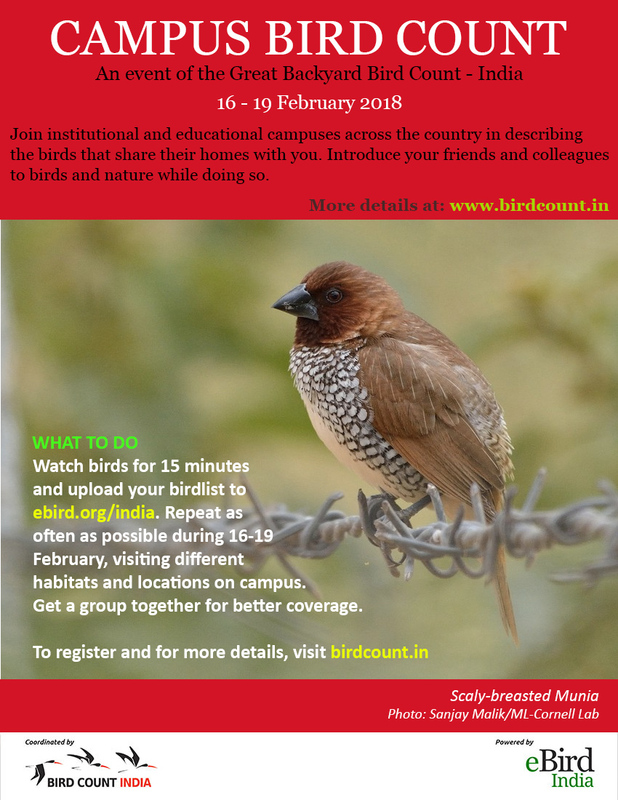 Read on for contact details for GBBC 2018.